You are currently viewing all posts tagged with footwear. Last March, I used part of my REI dividend on a pair of Sole Ed Viesturs Ultra Cushion footbeds. Prior to this, I’d been using Green Superfeet in my Lowa Renegade boots. When I pulled the Green Superfeet out of my boots and attempted to install the new Sole footbeds to insure I had a proper fit, they were quite hard to insert – much harder than the Superfeet. I took them out and compared them with the Superfeet to see if they wanted trimming, but they appeared only a millimeter or so longer. They were, though, much thicker than the Superfeet – particular in the arch area – which was what, I deduced, made the fit a bit more tight. So, I tried inserting them again, this time shoving them almost all the way in, then put in my feet to force the footbeds into place. I felt around a good deal to assure myself that there was no bunching at the toe, then took them out again and popped them in the oven. Sole includes a sticker on the bottom of one of the pair that turns from silver to black when properly heated. They claim that 2 minutes in a 200F oven should do it, but that, if not, give ‘em 5 minutes, then assume the sticker is defective and stick the footbeds into your boots anyway. Well, it actually took 6 minutes in my oven at 200F. After the sticker had turned black, I stuck the footbeds into my boots, laced them up, and stood up straight, feet shoulder-width apart, toes pointed forward, for two minutes. The warmth was actually quite pleasant, particularly on a cold, wet day. 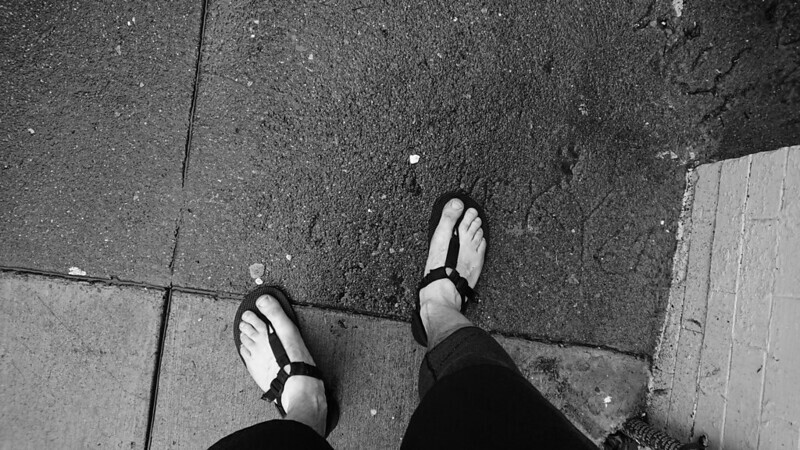 I purchased my first pair of Green Superfeet last summer while working for the National Park Service. My footwear at the time was a pair of Merrell Sawtooth boots – easily the stiffest, most uncomfortable boot I’ve ever worn. Any more than 6-7 miles in those and my feet would start to develop an ache. And going over ridges: that was absolutely no fun. The boots were completely lacking in support during downhill endeavors – which, to be fair, was not entirely the boots’ fault. My arches aren’t completely collapsed, but I do have flat feet, which, as you may know, equals zero shock absorption. So when I traversed my way down a rocky slope in the Sawtooths, I felt it. Shortly after purchasing the boots, but long enough after that I felt I had broken them in as much as I could, I went out and bought the Green Superfeet. The difference was stark. Really quite amazing. They were hard and awkward for about the first week, but after that break-in period, the Superfeet turned the Merrell Sawtooths into completely acceptable boots. 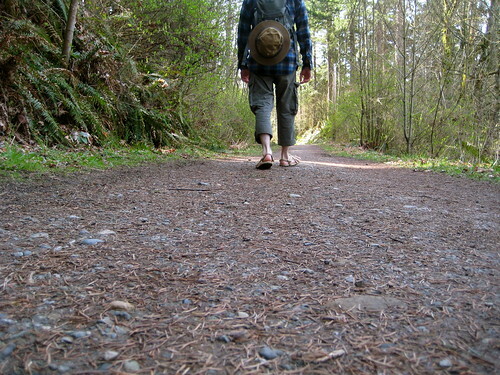 I could log far more miles, over any terrain, with any slope, all without ache. They were great. 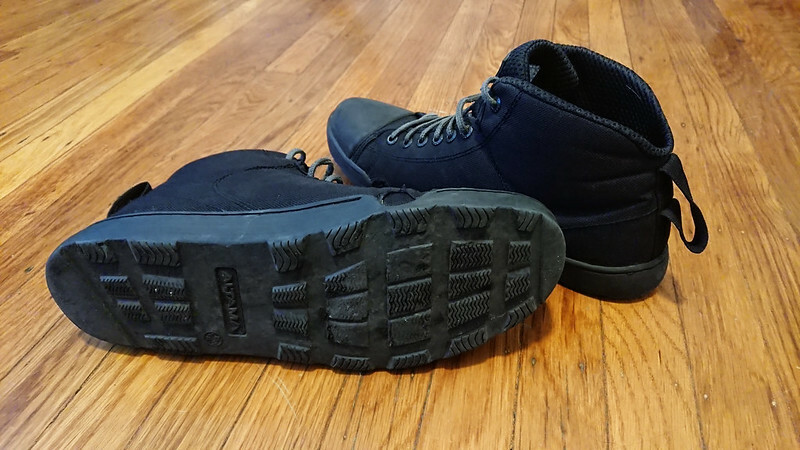 When I left the park, I bought a second pair of Superfeet, this time for my 5.11 HRT boots, in the hopes that I could breathe a little more life into them. Alas, it was for naught. Even with the Superfeet, I had to admit to myself that the 5.11s were at the end of their life. While I would certainly call the Superfeet supportive, I’m not sure I’d term them comfortable. And in fact, Superfeet claims that the insoles should not be comfortable. If it felt like one was walking on a soft mattress, the insoles wouldn’t be giving the feet any support. I don’t know much about feet, but the argument makes sense to me. 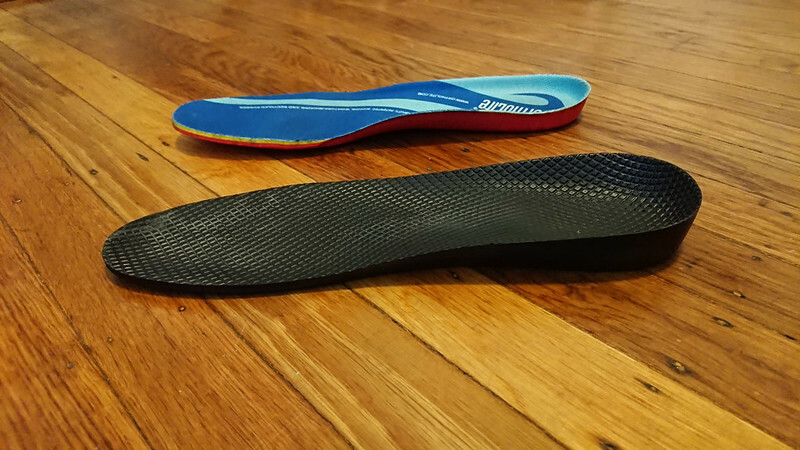 Personally, while moving with the Superfeet, I had no complaints, but standing still for more than a few minutes, they would start to become noticable uncomfortable. Not painful, but uncomfortable. 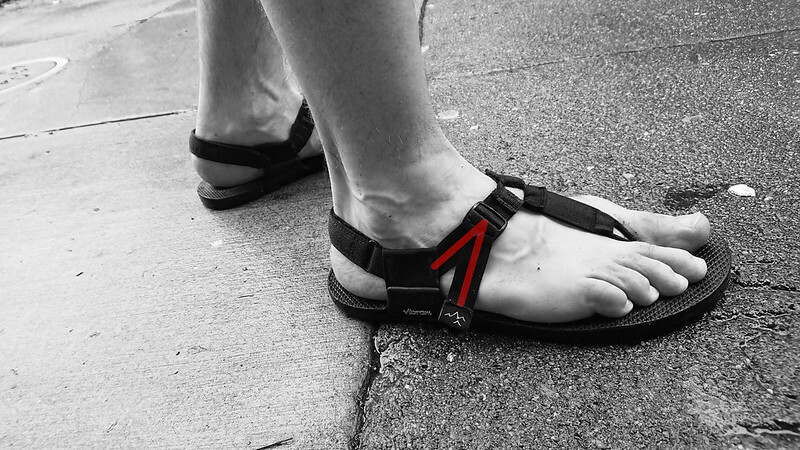 The discomfort originated in the arch area of the footbed, which I felt was too high for me. A bit like if I had a small ping pong ball or somesuch under my arch. Again, I don’t know much about feet, but this made complete sense to me. My feet are flat, thus I have very little shock absorption. The Superfeet provide shock absorption, thus they must be pushing up my arch. So I couldn’t, and still can’t, complain. While I’m here, I’d like to make a comment on Superfeet sizing. My boot size is a US 9.5. Superfeet classifies their insoles by letters. Their size E equates to shoe sizes US 9.5-11. I’ve used size E Superfeet in three different pairs of boots (all size 9.5), and it’s always been a perfect fit. 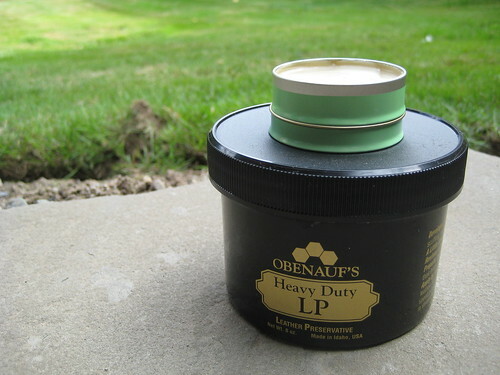 No trimming necessary. Great for me, but if you happen to be size US 11, I’d be a little weary. 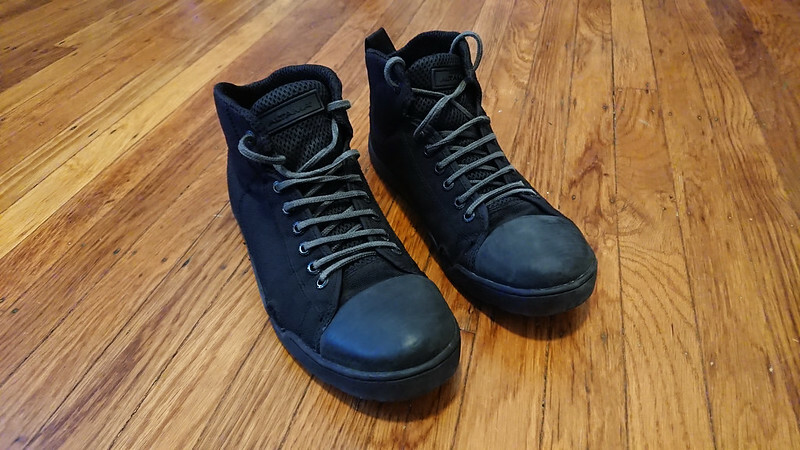 Definitely buy them from a store with a decent return policy, as you may find yourself wanting to upgrade to size F.
But when I heard about Sole, who made footbeds that actually molded themselves to the wearers feet, and that wearers often termed them as not only supportive, but comfortable, I was intrigued. I thought perhaps they could reach a pleasant medium between pressing up the arch for support, but not pressing it up too much. After the initial 2 minute molding process, I walked around them a short while. An immediate, very stark difference from the Superfeet was evident. The Soles were, in fact, comfortable. The level of comfort worried me, actually. I feared they wouldn’t give me any support what-so-ever. I have by now logged enough mileage, over enough terrain, under enough of a load to over a verdict: thumbs up. The comfort, compared to the Superfeet, allows me to to travel slightly greater mileages in the same boots than before. I still keep the Green Superfeet in my running shoes, but I, personally, find the Sole footbeds superior. I would caution that feet are extremely variable, and the merits of both Superfeet and Sole are strong, but, it would seem, complimentary to different foot types. Experiment! There is absolutely no reason not to purchase a pair of non-standard insoles for your footwear – even with good boots. The thin, non-supportive, flimsy things that manufacturers include standard cannot match a custom pair. I expect the majority of those reading this site probably recognize their feet as extremely valuable assets, and are not unaccustomed to spending uncommonly large sums of money on a good pair of boots and socks. So do yourself a favor, take the next step, and buy decent insoles. There is little less valuable in this world than mobility, and, whatever brand they may be, custom insoles will allow you to go harder, better, faster, longer. This post was published on 2008-06-05 . It was modified on 2012-09-15 . 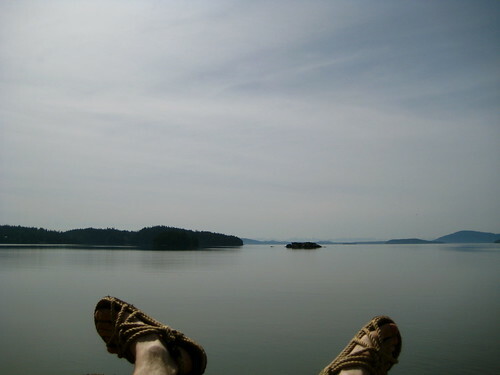 It was tagged with gear, review, sole, feet, superfeet, footwear.